Arkansas Times editors Max Brantley and Lindsey Millar discuss the guilty plea of Rusty Cranford, the latest in the medical marijuana application debacle and Judge Wendell Griffen and ethics. Arkansas Times editor Lindsey Millar and contributor Benji Hardy discuss the Democratic primary for the 2nd Congressional District, sovereign immunity and Leslie Rutledge and the Little Rock mayoral race. Arkansas Times editor Lindsey Millar and special guest Jay Barth talk about the latest from the Arkansas Supreme Court, the much-anticipated corruption trial involving former state Sen. Jon Woods, primary season and national politics. Arkansas Times editor Lindsey Millar and special guest Antwan Phillips discuss the debate among Democrats vying to be the party's nominee for Arkansas’s Second Congressional district, the legacy of Martin Luther King Jr. 50 years after his assassination and the McClellan High School coach who was put on paid leave after KARK revealed he’d made bigoted tweets. Arkansas Times Editor Lindsey Millar and contributor Benji Hardy talk about primary season, especially gubernatorial candidate Jan Morgan; gun protests and policies; a new opioid lawsuit; and Mark Stodola on the state of the city address. The resignation of Jefferson County Judge Henry Wilkins, the legal battle over the cultivation of medical marijuana and more. The challenges to the state medical marijuana commission’s grading of cultivation applications, the just concluded special session of the legislature, Governor Hutchinson’s politicking, students protesting gun violence and another civil rights lawsuit from Mike Laux targeting the Little Rock Police Department and the city of Little Rock -- all covered on this week's podcast. The latest Arkansas legislative doings and medical marijuana news. The coming special session, a sneaky voucher bill, a big drug arrest and LR mayoral challengers answer the city's suit — all covered on this week's podcast. Download Subscribe via iTunes. New podcast "The Conversation" debuts with interview with Frank Scott Jr. 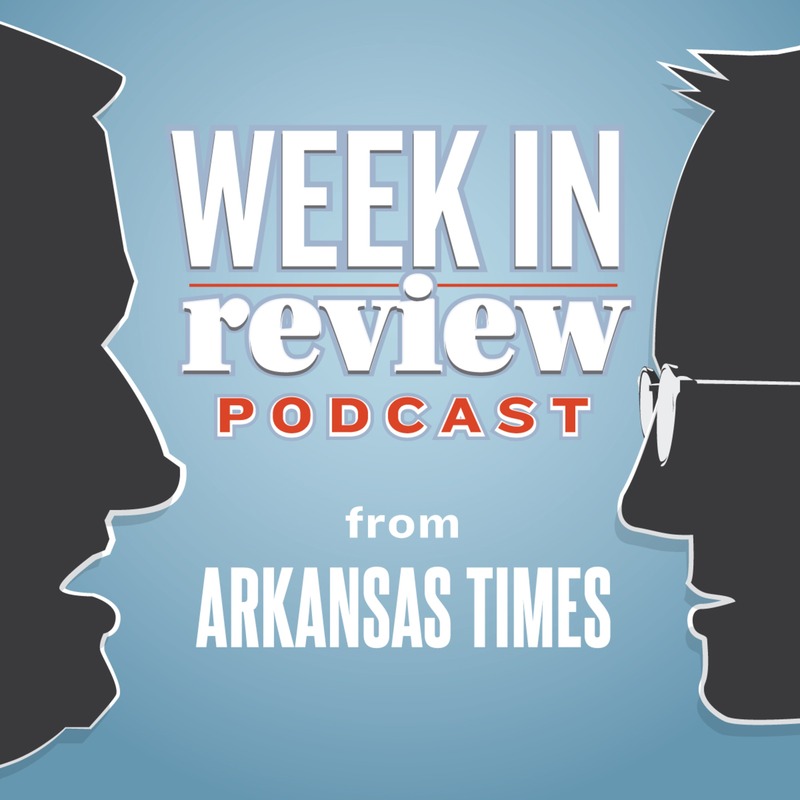 Governor Hutchinson’s tax cut promises, guns, Medicaid and pharmacists and the Babe Bracket — all covered on this week's podcast. Subscribe via iTunes. Download. 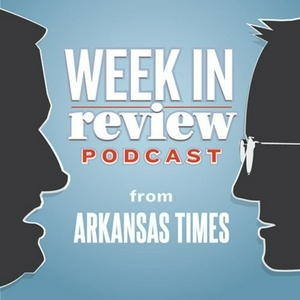 State Sen. Jake Files' guilty plea in federal court; state Sen. Jason Rapert, social media and the Conway Police Department; and a proposed gag order for the University of Arkansas Board of Trustees — all covered on this week's podcast. Subscribe via iTunes. Download. Tough talkin’ Tom Cotton, a major state Supreme Court decision and a pivotal lawsuit for Little Rock politics — on this week's podcast. Subscribe via iTunes. Download. Trump, Cotton and immigration; Governor Hutchinson navigating a primary challenger and the fiscal session; the hog farm in Newton County; and UAMS layoffs — all covered on this week's podcast. Subscribe via iTunes. Download. The justice department and marijuana, a new Republican gubernatorial candidate and Medicaid and Arkansas — all covered on this week's podcast. Subscribe via iTunes. Download. The tax bill that just cleared Congress, a Democratic candidate for governor, sexual harassment and state politics, transparency and the Razorback Foundation and turmoil at Arkansas Baptist — all covered on this week's podcast. Subscribe via iTunes. Download. Tom Cotton headed to the CIA, Razorbackland in turmoil and more — covered on this week's podcast. Subscribe via iTunes. Download. The legacy of Bill and Hillary Clinton and answers to readers' questions on politics, ancient canoes and more — on this week's podcast. Subscribe via iTunes. Download. Jeff Long's future at the University of Arkansas, UAMS' grim outlook, the Highway Department vs. Metroplan, the state Supreme Court's decision to stay the execution of Jack Gordon Green and whether Democrats' big wins on Tuesday are a harbinger of things to come — all discussed on this week's podcast. Subscribe via iTunes. Download. Sen. Jim Hendren and the drug court rehab program scandal, the planned execution of Jack Greene and the big national political stories this week — all covered on this week's podcast. Subscribe. Download. Little Rock’s Amazon PR stunt, the Tom Cotton to the CIA rumor, French Hill and Puerto Rico and UA-Little Rock's football future — all covered on this week's podcast. Subscribe via iTunes. Download. The latest in the legal fight to stop a law that would prevent Planned Parenthood from performing abortions in Arkansas, the cancellation of a rap show in Little Rock and its First Amendment implications, a stunning investigative report on drug court defendants being forced to work for free for Arkansas poultry companies and bellicose Tom Cotton — all covered on this week's podcast. Subscribe via iTunes. Download. The Las Vegas mass shooting, the Arkansas Supreme Court decision on GIF money, Judge Wendell Griffen's lawsuit against the state Supreme Court and more — on this week's podcast. Subscribe via iTunes. Download. The events celebrating the 60th anniversary of the desegregation of Central High, the future of abortion in Arkansas a new ruling on a law to restrict panhandling and more — covered on this week's podcast. Subscribe via iTunes. Download. The 60th anniversary of the desegregation of Central High School, the Republicans’ last-gasp attempt to replace Obamacare, and a few odds and ends — all covered on this week's podcast. Subscribe via iTunes. Download. The Little Rock School District settling a racial bias lawsuit, the state board of education approving three new charter schools in Little Rock and the latest news on DACA — all covered on this week's podcast. Subscribe iTunes. Download. DACA and related fallout, the GIF lawsuit before the Arkansas Supreme Court and various political topics — all covered this week on the podcast with special guest Jay Barth. Subscribe via iTunes. Download. Arkansas’s new concealed carry law, a threat to DACA and juvenile justice in Arkansas — all covered on this week's podcast. Subscribe via iTunes. Download.